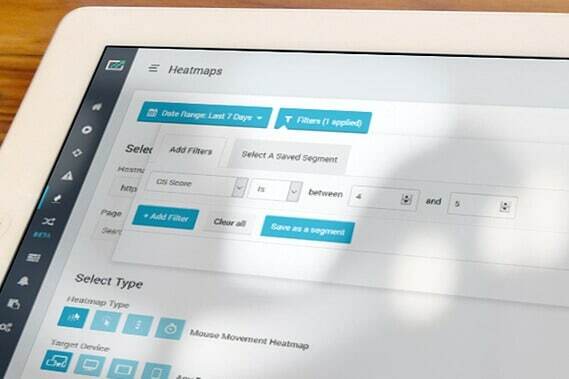 Our unique machine-learning algorithm automatically identifies and measures the areas of your website which cause frustration by calculating a Customer Struggle (CS) score for user behavior on each page and for each session. Using this, you can focus on watching recordings where users struggle the most and learn which pages are responsible for the most struggle. Our research shows that reducing struggle will improve your website conversion and digital customer experience. Our struggle detection algorithm considers hundreds of different signals within the data we record such as dwell-time, distance, speed of navigation, form interactions, clicks and the cause and effect of errors; learning and re-learning what ‘normal’ user behavior is and using that to detect struggle on your site. 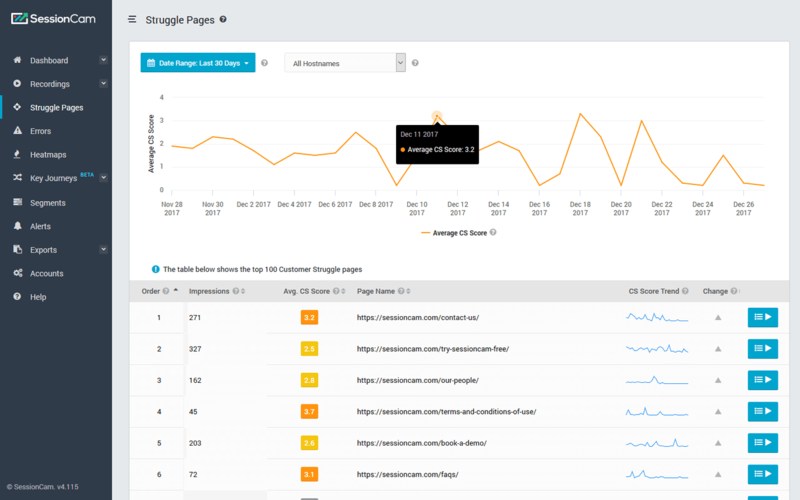 Measuring customer struggle over time lets you understand and trend performance so you can assess if your website improvements are making it easier for your customers to convert and improving the experience of their visits. Struggle detection can quickly guide you to the areas of your website that cause the most frustration. Optimizing and improving these pages first will improve conversion and customer experience.